Walnuts are single-seeded fruits produced by the walnut tree. When opened, you will find a wrinkled, rounded nut. Walnuts can be purchased raw or roasted, salted or unsalted. Nutritionists recommend including these nuts in your diet because of the health benefits that they can offer. Walnuts contain polyunsaturated and monounsaturated fatty acids that have been shown to reduce LDL or the bad cholesterol, as well as triglyceride levels. In return, your body’s risk of getting heart disease and stroke will be reduced. Studies show that people who consume these nuts several days a week are less prone to coronary heart disease than those who rarely eat them. The U.S. Food and Drug Administration recommends eating 1.5 ounces of walnuts a day. One study revealed that people who eat walnuts are less likely to undergo cholecystectomy, a surgical procedure that removes the gallbladder. It is a costly procedure that affects millions of people worldwide. Make sure to eat walnuts every day to lower your risk of gallstone disease. Regular consumption of walnuts helps increase your body’s resting metabolic rate. Studies show that people who include these nuts in their diet can lose more weight than those who do not. Walnuts are also high in protein content, making you feel fuller for longer. Walnuts are rich in copper. People with copper deficiency have low bone density and an increased risk of osteoporosis (a condition where the bones become less dense and thinner). When you lack this mineral, your bones will be prone to fracture. In addition, copper helps maintain your elastin and collagen, which are important structural components of your body. These nuts are also high in manganese, which has been shown to prevent osteoporosis. This mineral is best combined with copper and calcium for improved bone health. Magnesium is another mineral present in walnuts that assists in bone formation because it promotes calcium absorption. Researchers have found that walnuts may help reduce the risk of breast cancer, and prostate cancer. They contain powerful antioxidants that are only available in a few food sources. These include tannin tellimagrandin, quinine juglone, and flavonol morin. They target free-radicals that damage the body’s cells. The polyphenols present in these nuts may also help prevent liver damage. 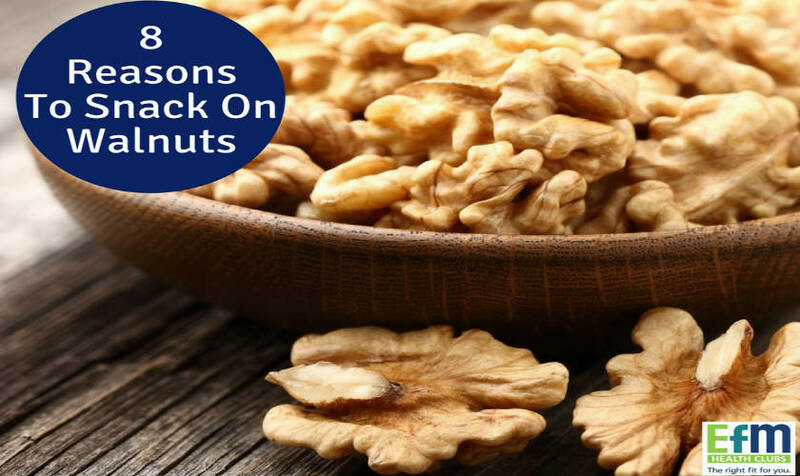 People with diabetes will definitely benefit from walnuts due to the positive effects on heart health. Diabetic individuals are at a higher risk of getting heart diseases. If you are one of them, then eating walnuts several times a week is a good start. Your body needs adequate supply of omega-3 fatty acids to prevent it from certain types of diseases. People who rarely consume omega-3 are at risk of depression, and mental illness, as well as heart problems. While walnuts contain powerful antioxidants and vitamin E, the presence of omega-3 in these nuts play a vital role in brain health. This fatty acid helps calm the brain, and allow it to function well. Walnuts have a high amount of melatonin that helps regulate sleep. Your body needs adequate rest in order to function well. Without ample sleep, you will become less productive, less alert, and more engaged in mindless eating. You can have better sleep with melatonin supplements, but why not incorporate walnuts into your diet to achieve the same effect? These nuts are also a great option, aside from coffee and tea. Whenever you are feeling restless, eat some walnuts and enjoy its calming effect.